Congenital Abnormalities are usually caused by some genetic aberrations that are somehow unpredictable and at a certain degree even inevitable. Although there have been medical journals explaining why such anomalies occur during conception, these scientific endeavors have fallen short of satisfying the ultimate question of WHO OR WHAT CONTROLS THE BEHAVIOUR OF THE HUMAN GENOME. As a result of this gap, mankind has learned to embrace these challenges by inventing medicines and/or prescribing prosthetic devices to help the individual carry on with his daily activities. The goal is to become functional while attempting to sustain one’s longevity on this planet. I, for one have this congenital blood condition called Beta Thalassemia, what it is and how it affects me is something you need to research on - - - c’mon we have Google for free just make sure your spelling is correct **Lolz** - - -. I have lived with this disorder since I was born but this does not in any way affect my work nor my relationship with people, but for those who have severe and chronic physiological anomalies they would probably wish for “premature death” (for a lack of a better word) than to suffer with such abnormalities. I am not here to discuss how Genetic Engineering could detect and correct a possible aberration, as I have no desire of winning a Nobel Prize to bring pride for my lineage, lolz. This is simply to share with you how God wants us to respond on things that are hard to explain or for those that even Sciences could not fathom. In this lifetime, there are never-ending questions we face in our unguarded moments. We ask why bad things happen to good people, why marriages fail, why prayers don’t get answered, why men of God experience persecution and misery, why some children suffer the consequences of their parents’ failures, why others are blessed and you are not, and the list goes on and on. A lot of people have died without ever understanding why they struggled despite consistent prayers and devotion to the One they have always considered as Almighty and All-Powerful God. In this lifetime, I have somehow learned to acknowledge the frustrations of Christians when God is silent amidst turmoil; we obviously want a response from God after pouring out our emotions unto Him but what we get most of the time is a deafening silence. Where is God? Is He for real? Does He see my afflictions? Does He understand human strife? Although these questions are valid considering that every person is facing adversities left and right, it is not our responsibility to understand God’s prerogatives but for us to become more dependent on Him in our weaknesses and brokenness. Remember that His thoughts are higher than our thoughts and His ways are totally different than ours. Just because God is silent doesn’t mean that He’s not there. It is through adversities that God is making His power and faithfulness become so apparent. God is always in the process of engineering circumstances through which He can reveal His true face to each of us. How we respond to these adversities is far better than understanding the WHYs of life. If we are deeply rooted to God’s word then no matter how strong the winds are they can only make you sway but they can never uproot you. The story of Lazarus in the Bible strongly depicts God’s power and faithfulness during adversities. Lazarus’ sisters (Martha and Mary) were praying so hard to God for Jesus to come by their place and heal their brother Lazarus who also happened to be Jesus’ friend. In our lives today, how many times have we prayed like that every time we are helpless, how many times have we acknowledged that it is through God that our struggles could be vanquished perhaps all the time but the sisters’ prayers were left unanswered and Jesus was silent and He was nowhere to be found. Although Jesus had heard of His friend’s health condition, still He was not there physically to deliver Lazarus from this affliction and so he died. Just imagine how much pain Lazarus’ sisters must have felt at that time, they probably even thought why God allowed Lazarus to succumb to this earthly demise considering that he was a faithful friend to Jesus. In the story, Jesus knew everything that was happening and this was also the time when Jesus wept on His way to Lazarus’ place. Remember, just because we do not feel God’s presence doesn’t mean that He cares less for us and that his indifference will only lead us to an inevitable despair. The Bible says Jesus wept, all along He knew everything even if He wasn’t there physically. Again, how many times have we said this to God? Perhaps every single day, perhaps you have already started doubting God’s existence long before you even asked that kind of question. But you see, in the eyes of men Jesus was late and Lazarus had already died and there was nothing else to do. God sometimes does this kind of strategy because He is about to accomplish a miracle, something that will all the more prove His power and great love to those who put their trust in Him no matter how mankind defines the statement “It’s Over!” God’s ways are unfathomable, whatever He is in the process of accomplishing through our sufferings and brokenness will always be for our best interest. 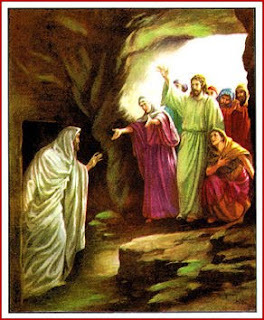 Going back to the story, Jesus asked Martha to remove the stone, which covered Lazarus’ tomb, but she was quite hesitant to do it because the body had been buried for 4 days, but Jesus told her “If you believe, you will see the glory of God.” Had she refused to do what God wanted her to do, Martha would have missed one of God’s greatest miracles. Jesus raised Lazarus from the dead! God’s ways are not our ways! His thoughts are unfathomable! He is an amazing God! Friends, God’s silence in times of our adversities and great despair is not indicative of His involvement in our lives. He is working in every aspect of our lives even if our prayers don’t get answered in a fashion that we want Him to do. Let Him do His ways not ours and as we wait for His glory to show up before our very eyes, our response is to always put our hopes in Him knowing that He has our best interest at heart. He is building up a character in you while you’re facing that tragedy, a kind of character that will elevate your faith to the next level. As you persevere in finishing your race, God’s promise is a life of contentment and an immeasurable joy regardless of your condition. God Bless you my dear friends!